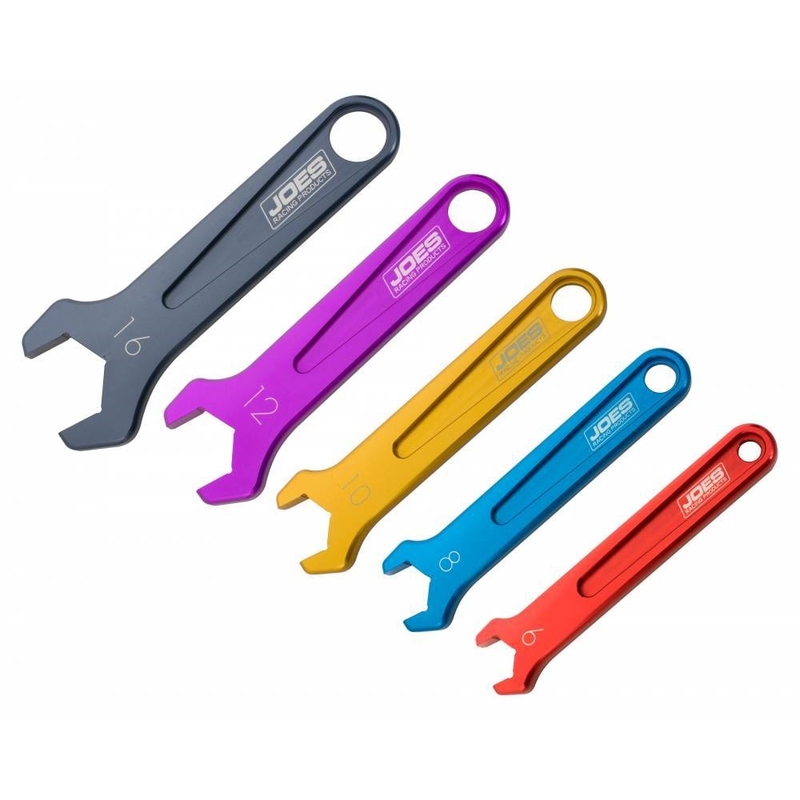 Radiused edges, compact design, anodized finish and quality workmanship are the reasons professional racers are choosing JOES AN Wrenches. Sold individually or in a set. Wrench rack sold separately.